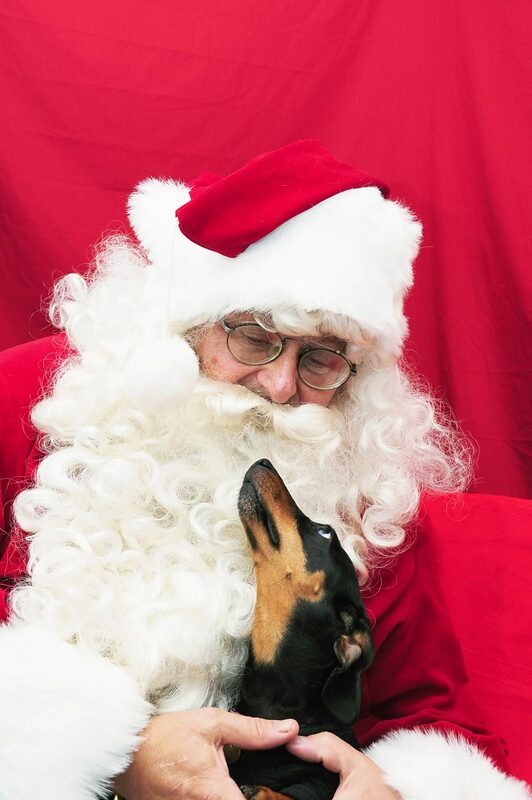 Fiona, a Dachsund that was adopted by the Rifle Animal Shelter, tells Santa she would like a family for Christmas. An anonymous donor has offered to match donations to the shelter for up to $20,000 through the month of December. RIFLE — Santa has come to the Rifle Animal Shelter this year in the form of an anonymous donor who has offered to match anyone’s donation to the shelter this month up to $20,000. That means the nonprofit shelter has the opportunity to raise $40,000. “This anonymous donor usually makes a donation, but this year wanted to do a match donation,” said Heather Mullen, director of the Rifle Animal Shelter. The no-kill shelter, which sees a lot of transfers from other shelters that are full, would use the money to help boost its fostering program in which an animal stays with a foster person or family until it’s old enough to be spayed or neutered or finds a home, Mullen said. Money is always needed to feed the animals, provide medical treatment and for day-to-day operations. The Rifle Animal Shelter this past year has helped nearly 1,400 pets find new homes or get back to their families if they were lost. The shelter has also helped spay/neuter more than 300 community-owned pets as well as paying for all the medical care of the shelter pets. The shelter has until the end of December to raise money to be matched by the anonymous donor. “Even a $5 or $10 donation is welcome, if that’s all they can do. They add up,” Mullen said.